Thinking of visiting Moscow in September? While you will miss the more mild summer weather, September in Moscow is still fairly warm, by Russian standards. Temperatures will begin to drop as autumn arrives (even early autumn), but you will miss the chilly winter weather by at least a few weeks. The weather can change very quickly in Russia, but you can expect the temperature to remain in this range during at least the beginning of the month. Though warm air lingers in September, autumn temperatures call for jackets or sweaters, especially in the mornings and evenings. If you plan to be out and about all day, be sure to take a cover-up in the case of wind or rain, and you may want to pack a hat and gloves, particularly if you're used to a warmer climate. You won't find as many events happening in Moscow as in the summer, there are still plenty of fairs and festivals to experience in September, for athletes art enthusiasts, and fans of high fashion. The Cosmoscow, Russia's only international contemporary art fair, takes place within Moscow's Gostiny Dvor. This event prides itself on featuring galleries less than five years old, as well as emerging artists. The festival selects one creator as the artist of the year, who has the chance to present a large-scale installation for the fair to exhibit. The Promsvyazbank Moscow Marathon is a yearly event that offers runners a one of a kind tour of the capital city. Over the course of the race, runners are able to view more than 30 world-famous attractions, including the Kremlin, the Cathedral of Christ the Savior, the Bolshoi Theatre, Moscow City, and four of the Seven Sisters skyscrapers, so if you are up for the challenge, this is a fantastic way to see the entire city. Russian Fashion Week is the place to see and be seen. Rounding out the global fashion month after Paris Fashion Week, Russian Fashion Week (RFW) is veritable who's who of the fashion set of the east. Designers from all around the country showcase their spring and summer lines in elaborate presentations meant to wow the media, and especially, potential buyers. September is a lovely month to travel to Eastern Europe. Crowds for important, and usually tourist-heavy sights thin and the autumn temperatures make exploring historic landmarks on foot pleasant. Enjoy the autumnal air and changing leaves in one of Moscow's parks, while taking in the view on Sparrow Hills, or exploring one of the city's outdoor sights, such as Novodevichy Convent or Old Arbat Street. 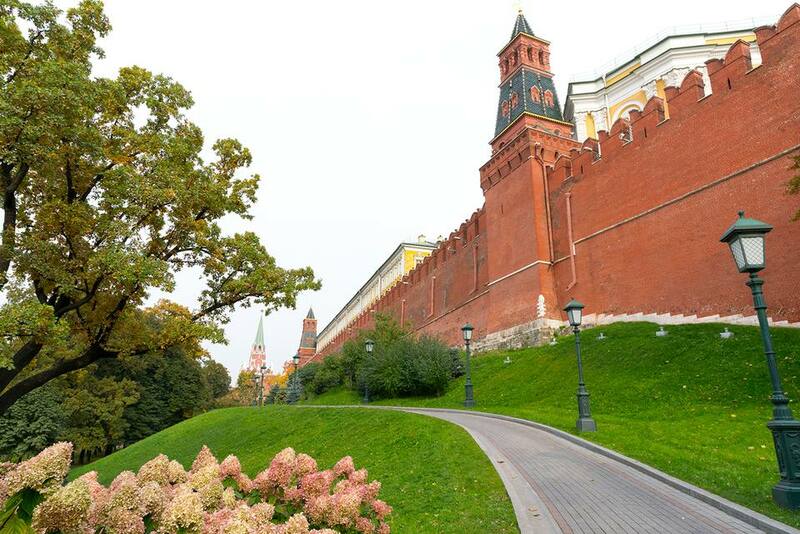 By traveling to Moscow at a less crowded time, there will plenty of great deals to take advantage of. From hotel deals to airfare specials and more, September is not only beautiful but budget friendly.